Machado Lake is most famous for being the former home of Reggie the Gator. But in the water quality world, the lake is better known as one of the most polluted bodies of water in the L.A. region, with trash, nutrient, legacy pesticide and contaminated sediment problems. Last week, the city of Los Angeles hosted a tour of the Proposition O-funded Machado Lake project. Tucked away off the Harbor Freeway between Harbor College and the Conoco Phillips refinery, this valuable lake-freshwater marsh system spreads over 40 acres at Ken Malloy Harbor Regional Park. 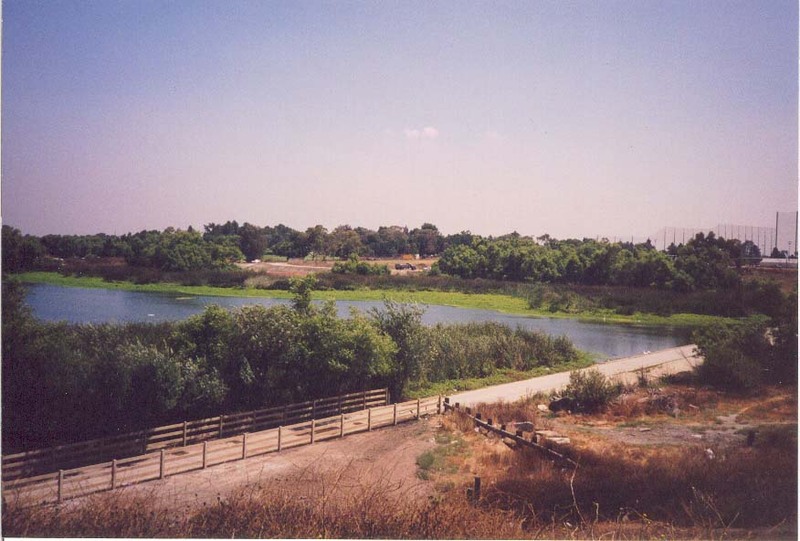 It serves as one of the last remaining coastal wetlands in Los Angeles County. Our End of Summer Beach Report Card came out today. This year marked another great summer at the beach, with excellent water quality at nearly every beach in the state. Some 92% of the beaches got A’s and B’s with every county other than L.A. County above the 95% level for A’s and B’s. Sounds like a great reason to celebrate, no? Unfortunately, to the shock of the State Department of Public Health and the State Water Board, Governor Schwarzenegger unilaterally eliminated all state funding for beach monitoring. That’s right. The Bush Administration now gives California more money for beach monitoring (about $500K annually) than the state. Without beach monitoring, the governor may as well put “Swim at Your Own Risk” signs up along California’s coast. The region under new media/sports magnate Sam Zell empire is never dull. I won’t spend time talking about Zambrano’s no-hitter, the Trib, or the inevitability of Bartman’s curse this October. But I would like to share some thoughts about some recent Heal the Bay doings at our local Zell outlets – the Los Angeles Times and KTLA. A couple of days ago, Steve Lopez, the biggest reason for not canceling my home delivery of the Times, wrote a wonderful article about Heal the Bay’s founder, Dorothy Green. He portrayed Dorothy as the amazing, selfless, passionate fighter that she has been for decades. Dorothy has been fighting melanoma heroically and Steve eloquently illustrated that that cancer was not an excuse Dorothy was willing to use in her relentless fight for clean water and a sustainable California water supply policy. The piece by Steve is why newspapers are so important. Not only do they provide investigative journalism that sheds light on corruption and the world’s tragedies and injustices, but they can provide an intimate view into the extraordinary lives that make cities like Los Angeles such an amazing place. On the other hand, we had a media experience Thursday that was a bit disheartening. This Saturday marks the 18th year that Heal the Bay has led the Coastal Cleanup Day effort in Los Angeles County. This year, nearly 11,000 volunteers will come out to 71 locations throughout the region to give the county a three-hour face lift. 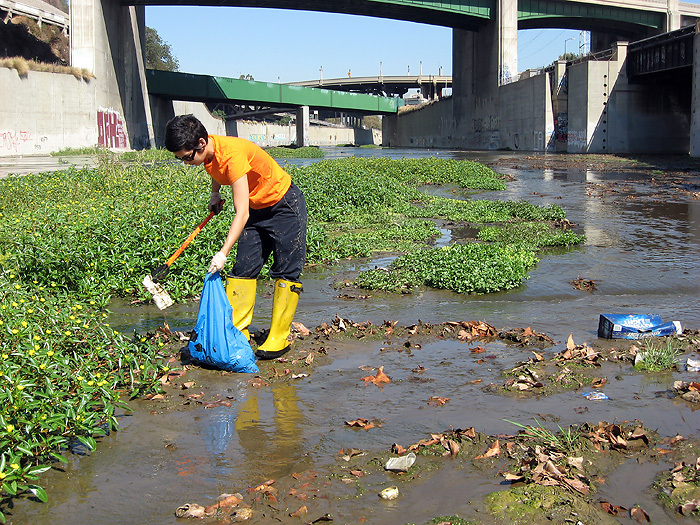 Volunteers of all ages will participate in cleanups from Sun Valley to Echo Park, Malibu to Long Beach. Divers will brave the murky depths at Redondo and Santa Monica piers and kayakers will help clean up Marina Del Rey. The event continues a tradition where communities come together to make L.A. a better place. One might look at Coastal Cleanup Day like a shot of botox on Joan Rivers. The injection helps a little, but it doesn’t last long. Just a day or two later, all too much of the trash is back on our beaches, strewn along our rivers and creeks, fouling our local communities. There is nothing more American than a great party. At the Beijing Olympics, who partied harder than the Americans? In particular, the Redeem Team was seen everywhere, from the Water Cube to the Beijing beach, whooping it up in the name of the good ole USA. Next was Denver, where the DNC festivities couldn’t be contained by an indoor arena. And finally, the RNC demonstrated that every day can be the Fourth of July. It took the patriotic party to a new level with chants of “U – S – A” after every nationalistic proclamation. Until this week, little did we know that Big Oil was king of the party crews. Those wacky, fun-loving guys from “Animal House” grew up to work in Big Oil and they invited the b-crats from the Minerals Management Service to join in the ongoing festivities. After a year and a half of litigation, the NRDC has finally settled with the Environmental Protection Agency over the BEACH Act lawsuit. As a result, the EPA will develop long overdue beach water quality criteria for swimmers nationwide. The current criteria were developed in 1985 and are based on health effects studies completed in the late 1970s. Obviously, a lot has happened in the beach water quality world since then. I can’t help but notice how many street “improvement” projects are under way in Santa Monica, the region’s most sustainable city. All sorts of traffic “calming” projects – a euphemism for slowing traffic to a crawl in the name of public safety — are springing up all around town. 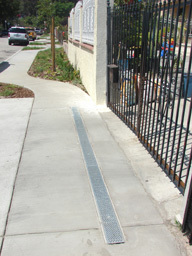 Most of them involve narrowing the street, installing ADA compliant curb cuts and providing a small landscaped area. Unfortunately, none of them are green streets projects, which have been commonplace in Seattle and Portland for over a decade. You may have seen some photos of these foreign- looking streets with beautiful landscaping, small to no curbs, permeable surfaces where gutters often reside, and genuine curb appeal — features that seem to be anathema in urban L.A.